First Order From Craft Show Done! Whew! 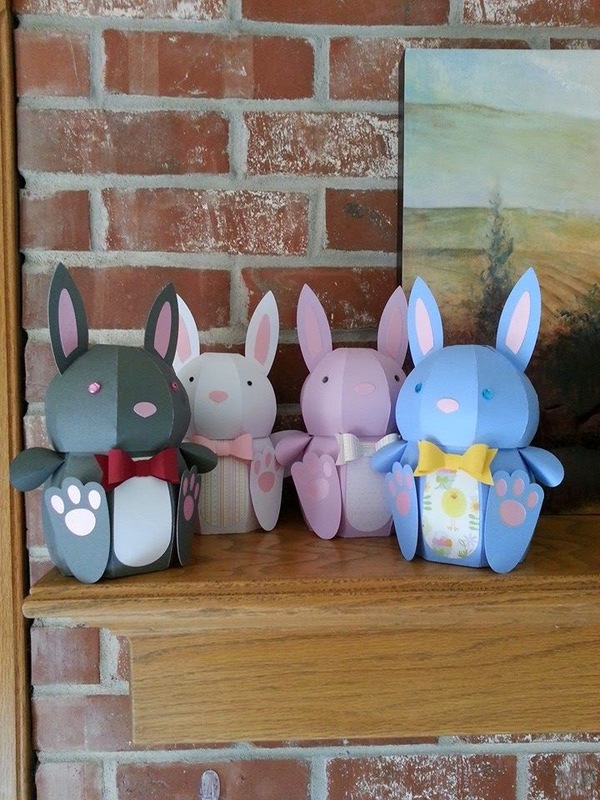 I didn't sell a lot of what I had made for the craft show on February 7, but I did get a few nice orders for bunnies. I finished the first order today. It feels great to have the first order done and behind me! Now to the rest! Don't forget, I'm having a winner's choice give away when my Facebook page hits 100 page likes, so click on the word and you will be directed there! Thanks for stopping by! 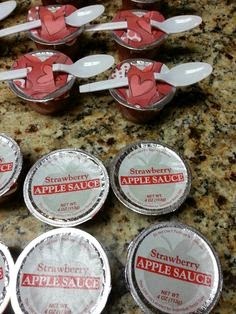 I had signed up for the healthy treat in my grandsons class. As a last minute dress up, I decided to make a heart to put on top of the applesauce that could hold the spoon. Here is what I ended up with. Each 12x12 sheet will yield 16 hearts. I taped them on in three spots and slipped the spoon handle thru the slit. Easy peasy! This is just the tip of the iceberg of what you can do with an eclips or other electonic cutter that lets you use Sure Cuts A Lot software! Don't forget to visit my Facebook page and give it a like! When we hit 100 likes, I'll have a winners choice give away! 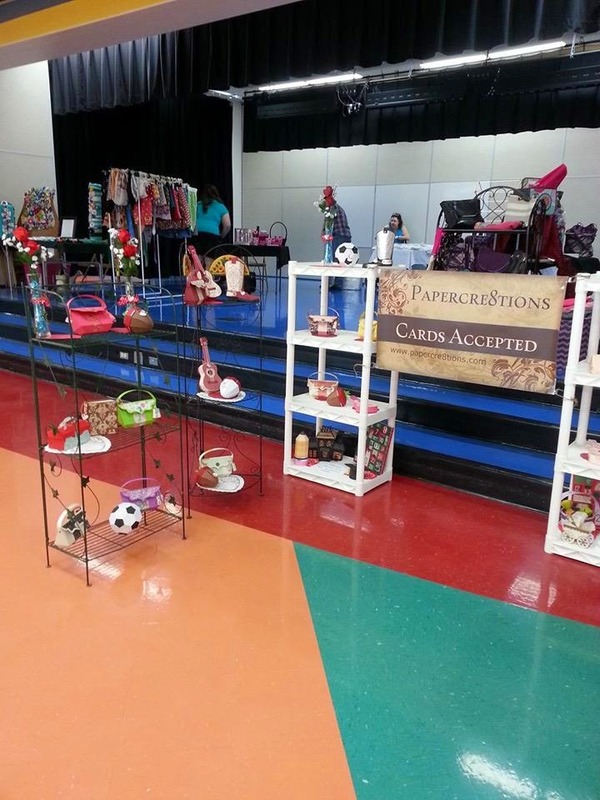 First Craft Show is Done! Well, I made it. Got to my first craft show and actually sold a few things! Unfortunately for the vendors and crafters, Wichita had a February temp of high 68 so the traffic was a little light. Most people chose to spend the day in the great outdoors on such a glorious day. We've had some really cold temps, so I don't blame them! I met some really nice people and bought some wonderful jams from Steve's Jams and Jellies. I opened the Cherry Cheesecake right away to try it. It really taste like Cherry Cheesecake! Ok, back to my experience. We could choose to set up either Friday evening, or Saturday morning. I chose Saturday morning, so I could do a mock set up at home first. (I also had to finish up pricing and packing my items) I got up just before 6am, took my shower, loaded my car and drove over to pick up my niece, who was helping me. We arrived right at 8 am and got busy setting up. 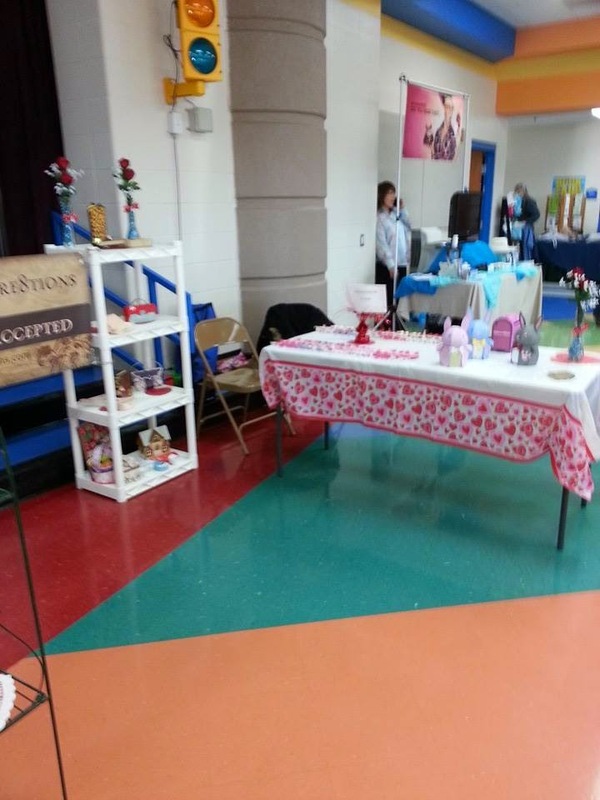 We were done by 9 and I am very pleased with how our booth turned out. One of the things my family highly suggested was for me to take the Easter bunnies from last year and see if anyone wanted to order them. That was the best idea of all! I ended up with orders for 10 bunnies! 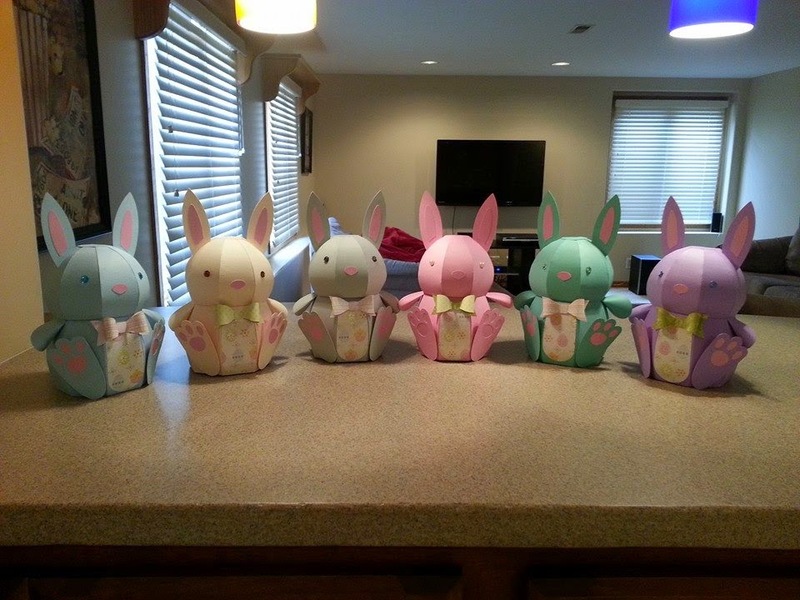 Here is a look at the bunnies from last year! All in all, I am very pleased with my first attempt at craft showing. I'll be keeping a look out for another small craft show for the future. In the mean time, I have some bunnies to make! Be sure to visit my Facebook page and give it a like!